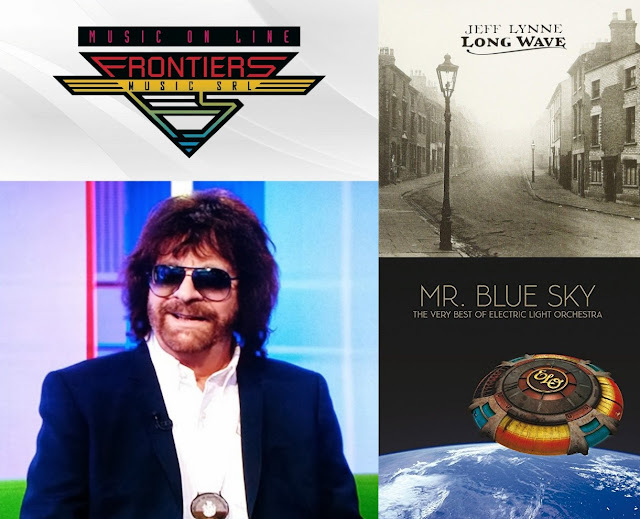 "Jeff Lynne has been on UK TV to promote the long awaited release of his two new albums, "Long Wave" – No. 2 in the Amazon pre-sale chart – and "Mr. Blue Sky – The Very Best of ELO" – No. 1 presale – out today [October 8th] on Frontiers Records. He was interviewed by Jools Holland on Tuesdays 'Later Live', [watch here], appeared on Wednesday nights 'The One Show' for the 'Story Of The Song' feature on "Mr. Blue Sky" [watch here] and on Fridays 'BBC Breakfast' [watch here]. Friday night saw the UK TV debut of 'Mr. Blue Sky: The Story Of Jeff Lynne and ELO' documentary as part of BBC Four's 'Jeff Lynne Night' – which aired classic footage such as ‘ELO Live At Wembley’ in 1978, 'Rock Family Trees: Birmingham Beat' and 'Jeff Lynne Acoustic: Live From Bungalow Palace'. On the radio, new single "At Last" has been on Radio 2’s A-List, with "Long Wave" as 'Album Of The Week'. Jeff chatted to Mark Goodier on Smooth Radio last Thursday and will be on Ken Bruce’s Radio 2 show 'The Tracks Of My Years' - broadcast at 11.50AM each weekday from Monday October 22nd."